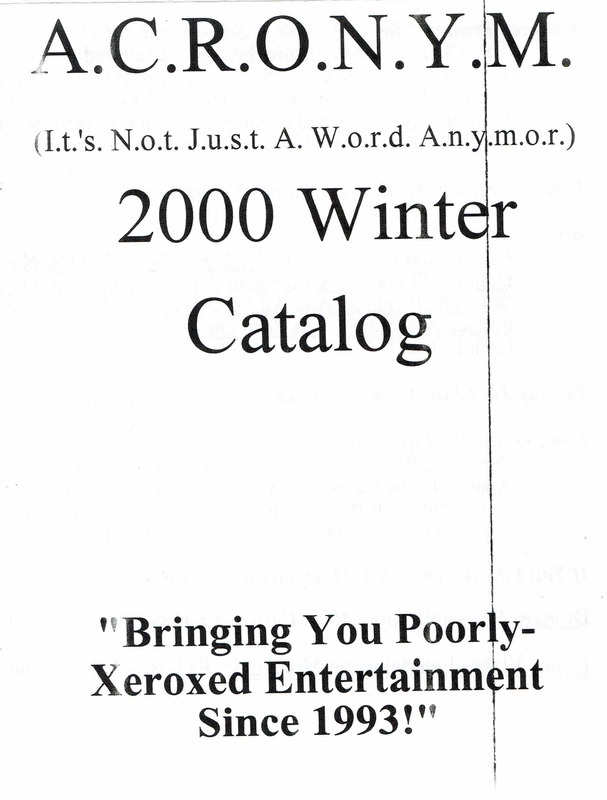 ACRONYM 2000 Winter Catalog (March, 2000) – ACRONYM Inc.
A catalog by Austin Rich. Pingback: I’d Buy That For A Dollar! #14 (February, 2000) | ACRONYM Inc.